(Community Matters) The New Republic: Original Sin Why the GOP is and will continue to be the party of white people. Playbook: “History, with its repeated instances of racialist political strategy dating back many decades, only partially accounts for the party’s electoral woes. The true problem, as yet unaddressed by any Republican standard-bearer, originates in the ideology of modern conservatism. 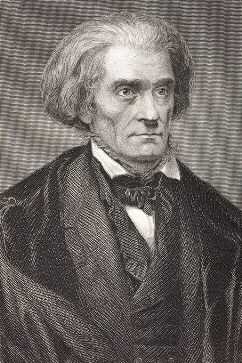 When the intellectual authors of the modern right created its doctrines in the 1950s, they drew on nineteenth-century political thought, borrowing explicitly from the great apologists for slavery, above all, the intellectually fierce South Carolinian John C. Calhoun. This is not to say conservatives today share Calhoun’s ideas about race. It is to say instead that the Calhoun revival, based on his complex theories of constitutional democracy, became the justification for conservative politicians to resist, ignore, or even overturn the will of the electoral majority. Admittedly, I’ve not yet had a chance to read more than Playbook’s summary. But, I will on the drive home – comments to follow.